Over the past century, Condé Nast has evolved from being a primarily print publishing company to a digital content house. In order to reflect this change in their business offering, we created an atypical corporate site that puts a modern, bold spin on their brand to reinforce that Condé Nast is anything but ordinary. Promoting the most current and impactful stories on the homepage is not only a powerful brand moment, but also creates a focused experience for the user. 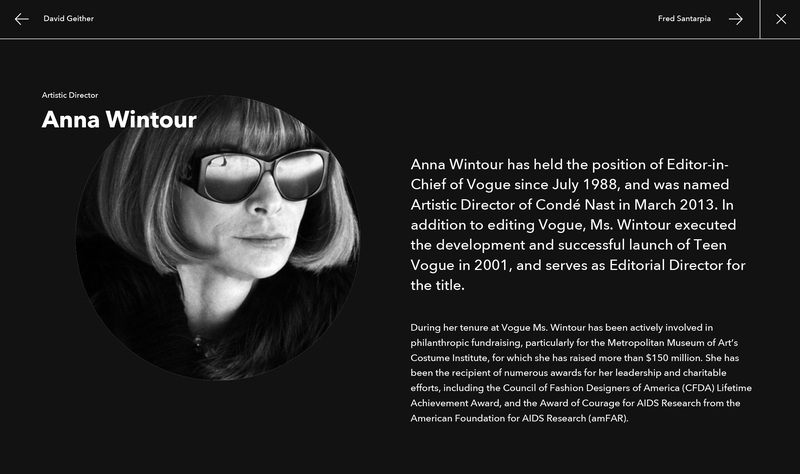 The continuous use of videos throughout the site shows Condé Nast has expanded their offerings far beyond print. 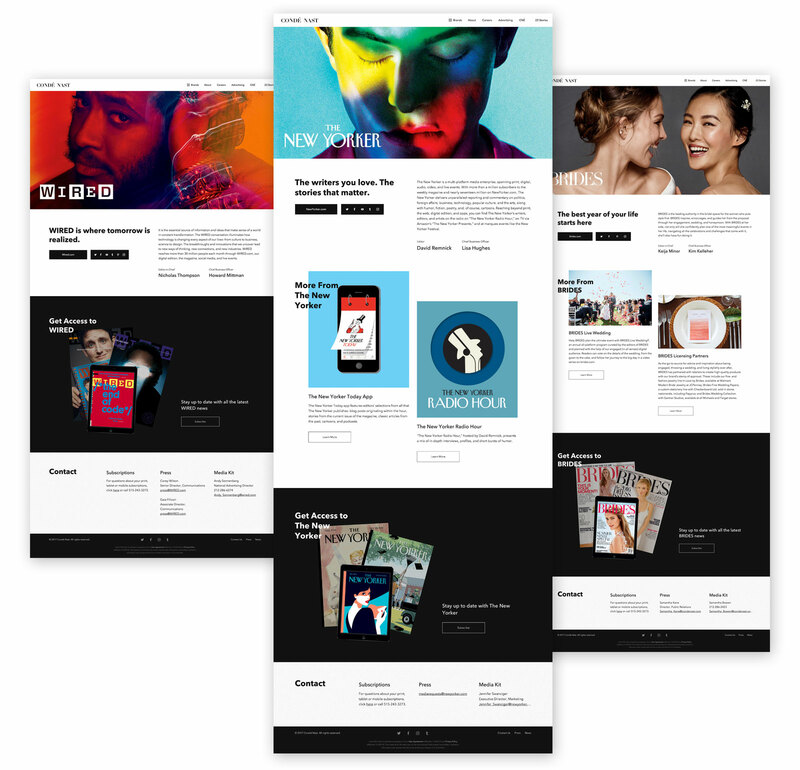 A flexible modular system allows each brand to uniquely express themselves within their parent company’s site. To reinforce Condé Nast as a digital brand, glitch animations were sprinkled throughout the site.